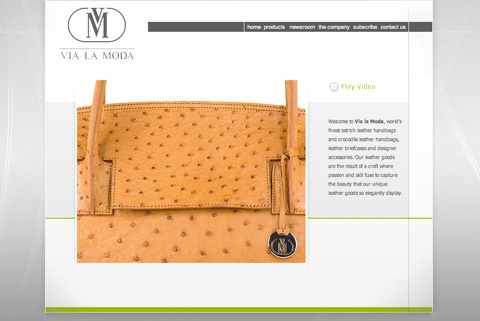 Via la Moda, one of Underdogs first clients, manufactures fine and exotic leather handbags, briefcases and accessories. The website, which Underdog designed, created, hosts and maintains, is a great showcase for these elegant products and now allows the client to update their own product catalogue of several hundred bags in multiple leather types themselves. Visit www.vialamoda.com to view the full site.